Many roasters provide coffee tasting notes on their labels. What do they mean? 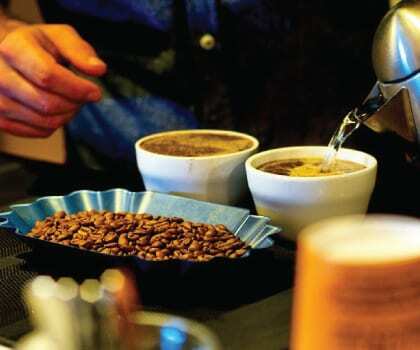 Coffee tasting notes are quick guides to the aromas and tastes you will find while brewing and sipping those coffees. Coffees are very complex. 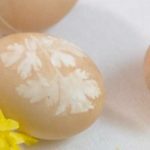 Their essences include aromas that range from floral to fruity to smoky. The tastes fall on the spectrum from sweet to sour, and from salty to bitter. Ladro Roasting Blends and Micro-Lots give you the chance to explore coffee flavors. 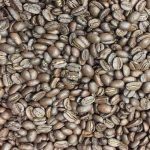 Our blends range from light to medium to dark roasts. Our Micro-lots are light roasts that highlight the flavors imparted to the beans by their regional environments. In order to discover the aromas and flavors in your coffee, start with your nose. During the coffee cupping process, the fragrance of the freshly ground beans is the first element professionals assess to determine the quality of the coffee they are sampling. You can do the same thing. When you freshly grind your coffee, pause a moment to pay attention to the fragrances do you sense. Berry? Chocolate? Nuts? Citrus? Syrup? When you add water to begin the brewing process, you may experience more intense or different aromas than you noted in the coffee grinds. Breathe in the freshly brewed coffee and note what you sense. Can you smell strawberry, vanilla, pepper, tobacco or lemon? Sip the coffee (or slurp it like the professionals do, coating their whole tongue and palate with the sample coffee). What do you taste? Here you can sense an incredible variety of flavors. Continue to sip or slurp your coffee as it cools and different aspects of flavor will become more obvious. 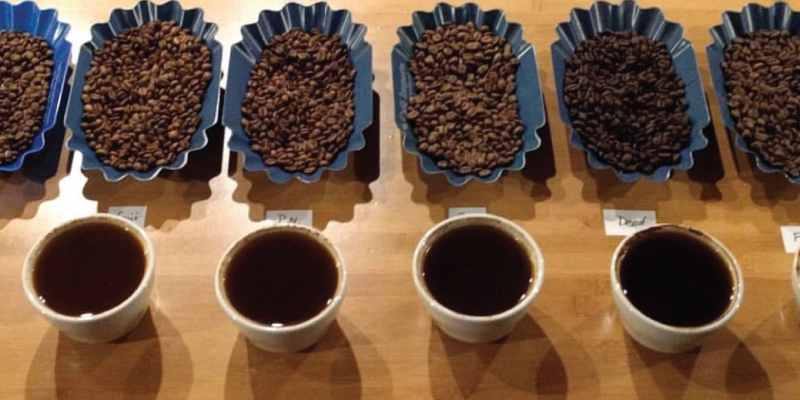 Coffee professionals train their palettes to recognize a host of tastes as outlined on the coffee flavor wheel. You might find it fun to do the same. Perhaps the most incredible thing you can learn through coffee tasting is that nature infuses coffee with so many different aromas and flavors. The origin, varietal and season of harvest mean coffee flavors are always changing and interesting. If you need a short answer about coffee tasting notes, we offer it in our FAQ section.